I met Larry Keeley through a mutual friend several years ago. He’s the thought leader behind Doblin, the innovation consulting company that’s now part of Deloitte. At the time, Larry had come up with an innovation scanning methodology which looked across industries to identify innovations up and down the value chain. Larry was also kind enough to join the $300 House project as an adviser, and I’ve learned a lot from him – more than he can imagine! Now, and this is a good read for the holidays, he’s written a book called Ten Types of Innovation: The Discipline of Building Breakthroughs. You see, most companies focus on just one type of innovation – product innovation. Sure, some of us are looking at service innovation and business model innovation (thanks to Clayton Christensen and Alex Osterwalder), but we still suffer from tunnel vision. Time to wake up and look across the entire scope of our business activities. Where can and should we innovate? 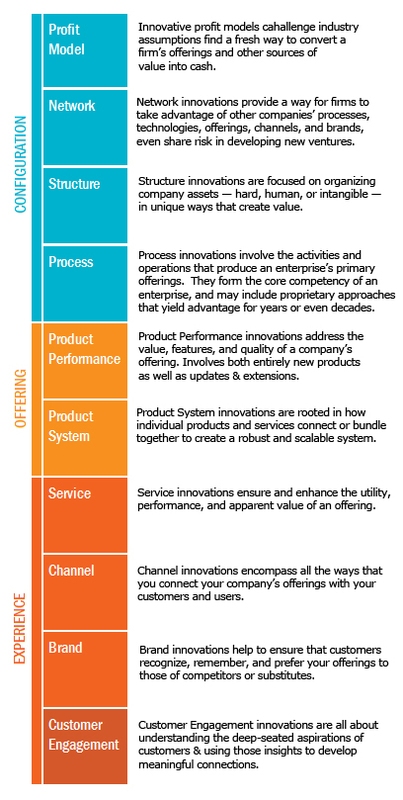 How will your company build it’s business innovation portfolio?